Key difference: The Micromax A116 Canvas HD is the successor to the really popular Micromax A110 Canvas 2 and is better than its predecessor in every way. It features a 5.0 inch display with a resolution of 720 x 1280 pixels. It runs on a Quad-core 1.2 GHz Cortex-A7 and 1 GB of RAM. 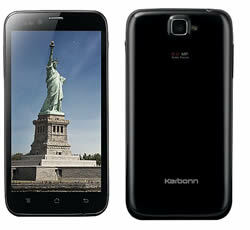 The Karbonn Titanium S5 sports a 5.0 inch display with a resolution of 540 x 960 pixels. It runs on a 1.2 GHz Qualcomm Snapdragon Quad Core Processor and 1 GB of RAM. Technology is a dynamic sector that often changes when new technology replaces the old outdated technology. This is most commonly seen in smartphones and tablets. Smartphones have taken over the world! It has become a trend, a necessity and a way of life. They have made it easier to do everything on the go, from e-mailing, video conferencing, to writing up a report or a project. There isn’t anything you cannot do these days with a smartphone. Hence, it is understandable that people constantly keep changing and upgrading their smartphones. Specially in order to keep up with new technologies and the companies see great opportunities in this. They are constantly releasing new smartphones to keep up with the latest demands and are always trying to outdo the competition. Micromax and Karbonn are two such companies based in the Indian market. Currently their latest products are competing for market share. These are the Micromax A116 Canvas HD and Karbonn Titanium S5. The Micromax A116 Canvas HD is the successor to the really popular Micromax A110 Canvas 2 and is better than its predecessor in every way. 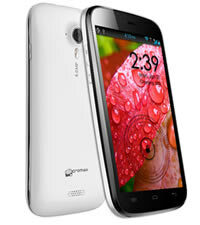 It features a 5.0 inch display with a resolution of 720 x 1280 pixels. It runs on a Quad-core 1.2 GHz Cortex-A7 and 1 GB of RAM, making is faster than its predecessor and most mid-market smartphones at the time. It comes with Android OS v4.1.2 (Jelly Bean), and has a planned upgrade to v4.2 (Jelly Bean). Like its predecessor, it is also a Dual-SIM phone and has an internal memory of 4 GB, of which 1.77 GB is available to the user. The phone has an 8 MP primary camera and a 2 MP secondary camera. In response to A116 Canvas HD, Karbonn, one of Micromax’s biggest rivals has released its own quad-core phone: the Titanium S5. This is the company’s successor to the Titanium S1. The Karbonn Titanium S5 sports a 5.0 inch display with a resolution of 540 x 960 pixels. It runs on a 1.2 GHz Qualcomm Snapdragon Quad Core Processor and 1 GB of RAM. It is a Dual-SIM phone that comes with Android OS v4.1.2 (Jelly Bean). It also has an internal memory of 4 GB. The phone has an 8 MP primary camera and a 2 MP secondary camera. The information for the detailed table about the two phones has been taken from the Micromax website, Karbonn website, flipkart.com, snapdeal.com, and fonearena.com.